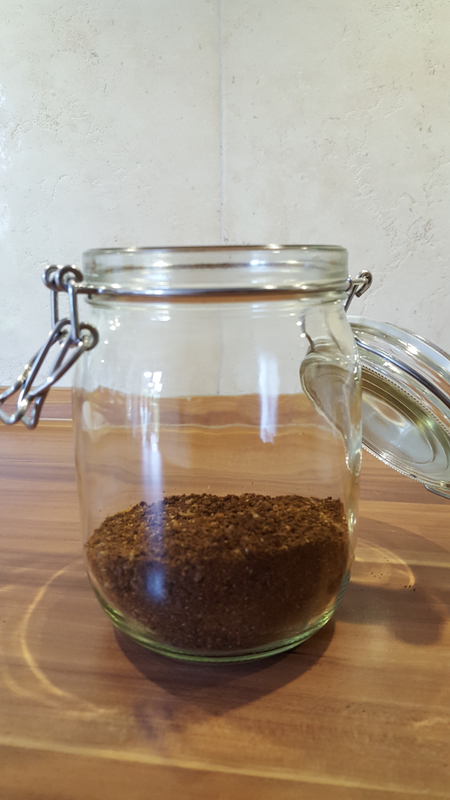 How to best coffee in the world: Cold Brew. It's much less bitter than usual coffee. Because the beans soak in cold (!) water for a day, only the flavoring gets extracted from the beans into the water, not the bittern. You don't need milk or even sugar which is used to smoothen the bittern. Often I served Cold Brew to someone who insisted to drink her coffee with milk. In these cases, I insist that she tries the coffee without any milk or sugar first. In 80% of the cases the rest of the coffee gets drunk without milk. I count that as proof that Cold Brew doesn't need smoothing additions. 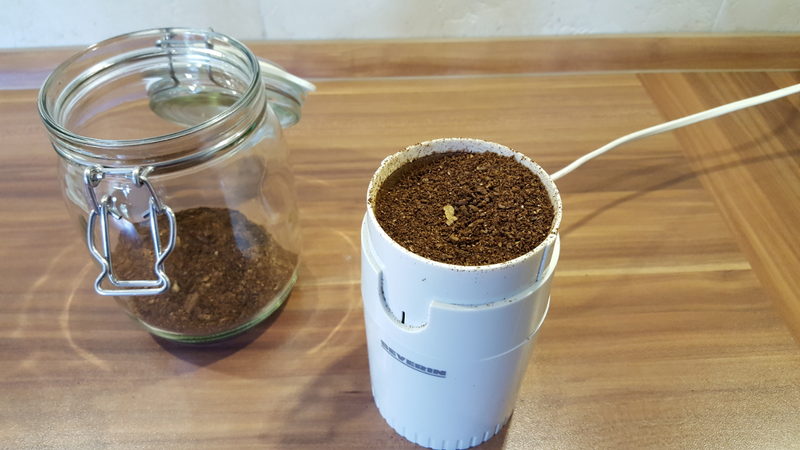 You can easily transport Cold Brew concentrate and make a lot of coffee from it. I transport my concentrate in a thermos jug, fill a little in a cup and pour hot water over it when I want a coffee. That's much easier to handle and has a more reliable quality than any office - coffee machine I know. You only need a water boiler. The concentrate is nonperishable and can be used up to a week after being filtered. I prepare my Cold Brew on Sunday, so I have fine coffee all week long. Just remember putting it in the fridge. 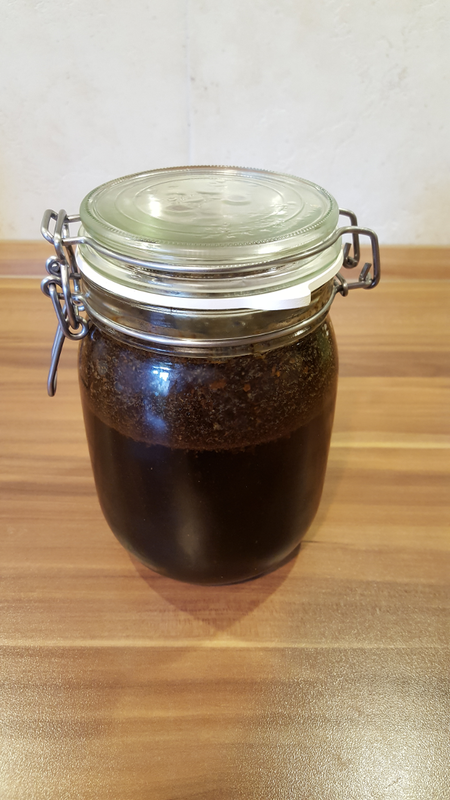 Cold Brew is as strong as you like it because you can add either hot water or concentrate if you find your coffee to be too strong or not strong enough. Behold: Cold Brew has up to 4 times more caffeine than usual coffee. However, in my experience Cold Brew doesn't bring me that flashed feeling when drinking an espresso. So, enough of the praise! How do you prepare such a godlike coffee? First, I grind coffee beans. 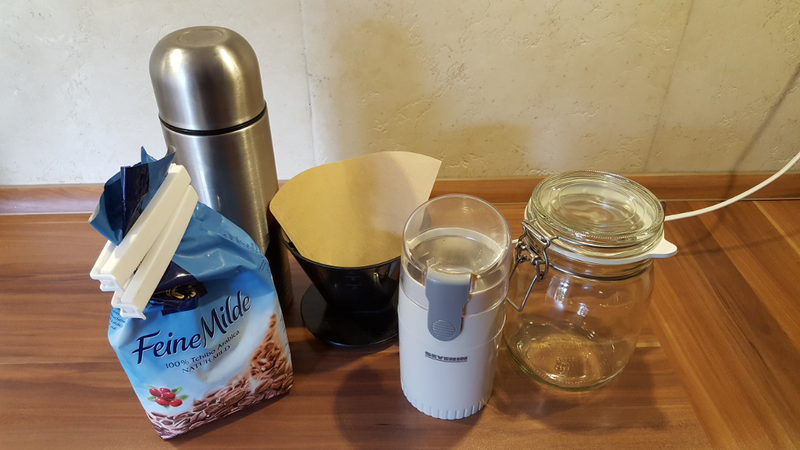 As you can see, I use quite ordinary beans from Tchibo which I grind in a cheap electrical coffee mill. A portion of 0.7 liters of Cold Brew is made from ca. 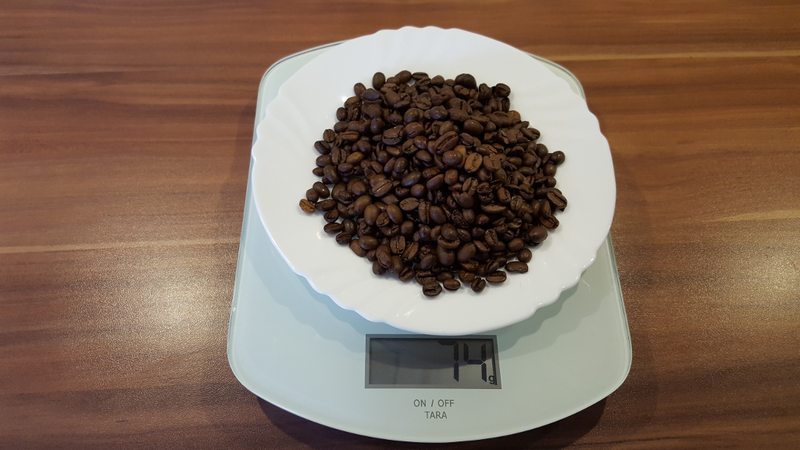 75 gram coffee beans. 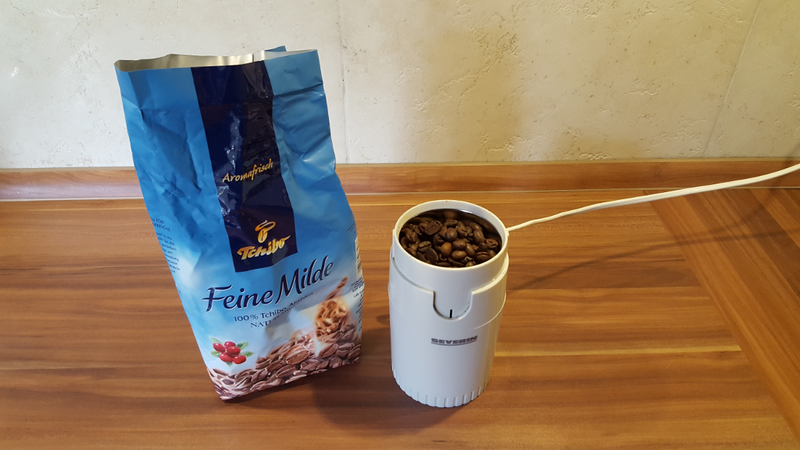 It's not necessary to grind the beans too fine. It's just important that the beans are broken. Now, I fill up the jug with cold (!) water and put it in the fridge for 12 to 24 hours. 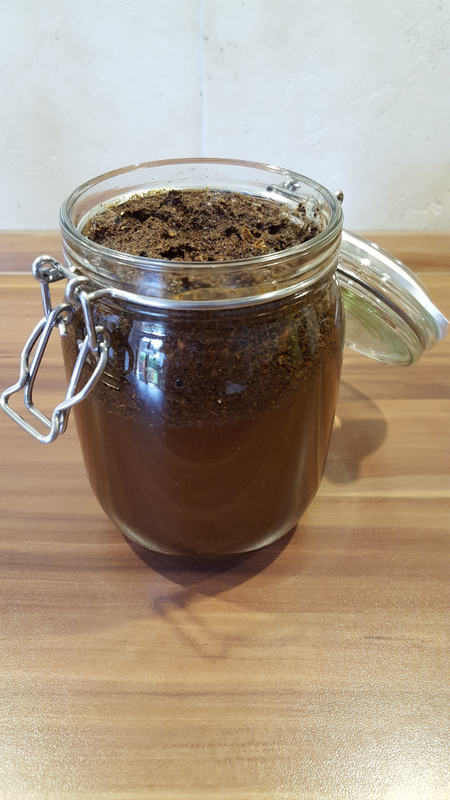 To separate the concentrate from the coffee grounds, simply filter the mixture. My filter fits perfectly on top of my thermos jug. 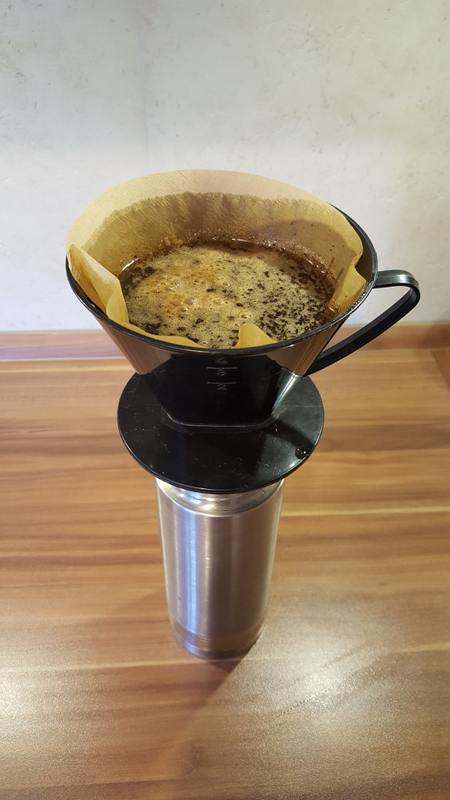 Depending on how long you let the mixture soak and what coffee beans you use, the concentrate is more or less transparent. If you note that your coffee tastes not strong enough, you can add some concentrate. This concentrate can be either served cold with a few ice cubes, which is great on hot summer days. You also can pour it over vanilla ice cream or prepare a "real" iced coffee. 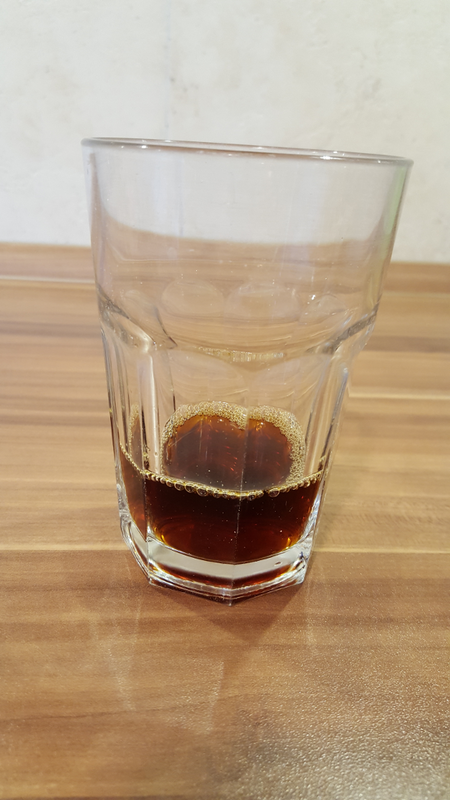 I use Cold Brew mainly for the ordinary cup of coffee by pouring hot water over at the rate of 1 part concentrate and 2 to 3 parts water. I hope I widened your culinary horizon and may welcome you to the "One of us!" community of Cold Brew enthusiasts. 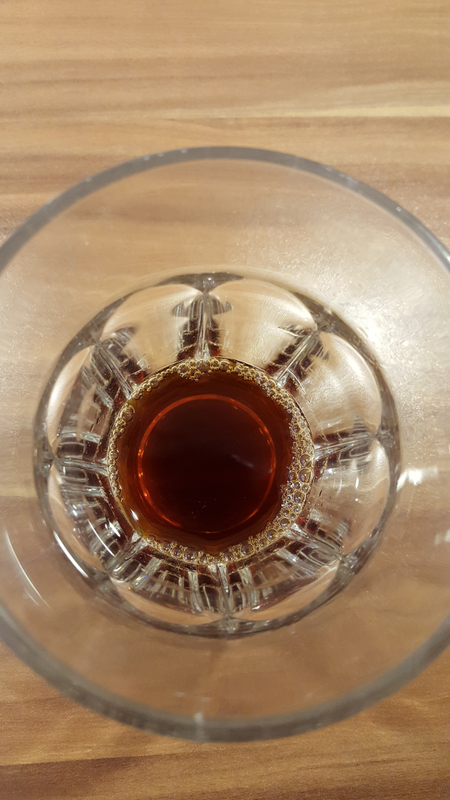 Let me hear what your think about Cold Brew and enjoy! Cold Brew is the best coffee in the world. Grind coffee beans and put them in water. Let them soak 12 to 24 hours. Filter them and fill the concentrate into a thermos jug so it stays cool. Keep the jug in the fridge. Pour a cup by mixing the concentrate with hot water at the rate of 1 part concentrate and 2 parts water. Enjoy the best coffee in the world!